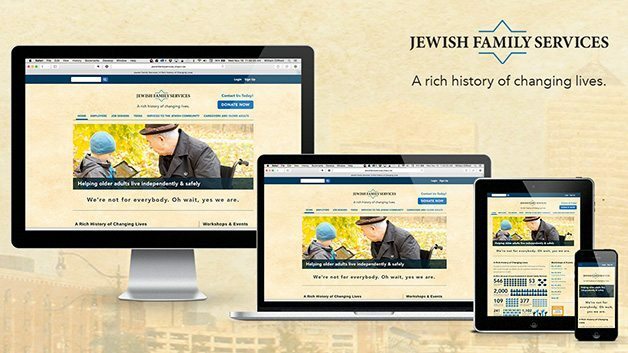 Jewish Family Services came to Chepri for a complete site redesign. To meet their communications goals and help serve their constituents better, we worked closely with them to improve the site’s content and structure, including the addition of infographics, client testimonial videos, and improved calls to action for donations. A full content and constituent management system was implemented to allow them to easily manage all of their own site content, events, donations, and client communications. Current responsive web technologies were used to optimize the site’s display for use on the most popular desktop and mobile browsers.